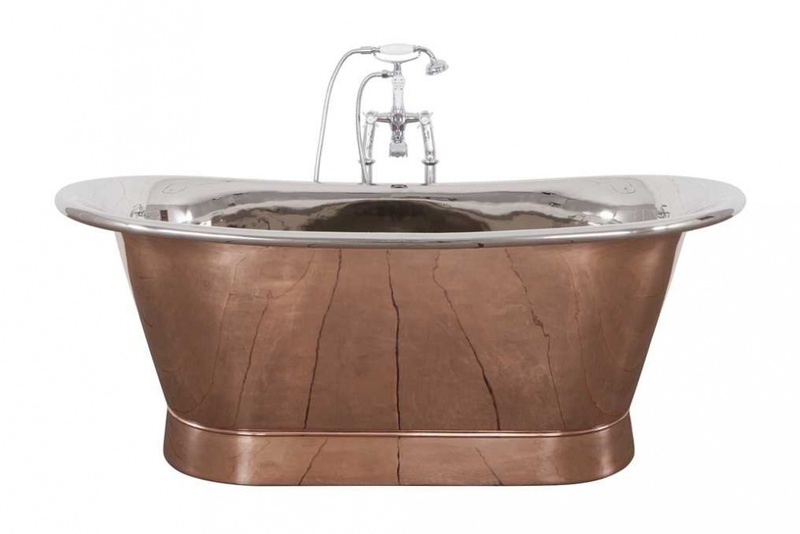 The Normandy Copper bath is a stunning centrepiece for a bathroom. 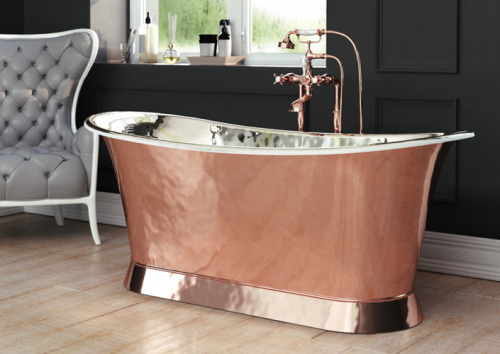 This classic copper bath is carefully hand beaten from the highest quality 16 gauge solid copper, giving it that extra feel of class and sophistication. 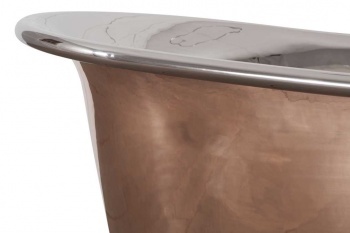 With a contrasting interior of polished Nickel it really is a show stopper. 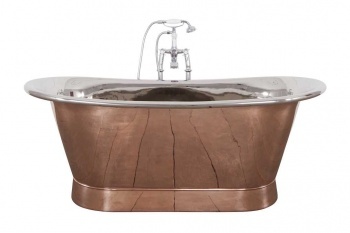 The bath is supplied without tap holes suitable for free standing or wall mounted taps. 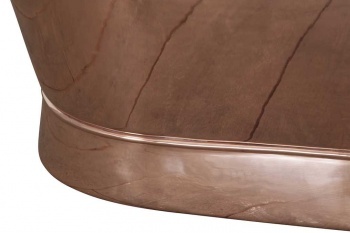 ​Click link below for the range of taps and accessories.